Podcasts are a great way to take in entertainment and education on the go. They’re similar to radio shows, but instead of being broadcast on radio waves, they’re put out over the internet. If you’re around the house, you start a podcast on your laptop or device and listen while you clean, exercise, or do your morning ablutions. When you’re on the go, you can listen on your smartphone or tablet. This way you can learn about nutrition while you’re walking the dog or listen to interviews with experts to make your road trip go by faster. You can listen to podcasts on the sites listed below or through your favorite podcast player, such as iTunes or Stitcher. There are podcasts on every subject imaginable, from technology to history to finances. Additionally, you can learn about almost any health topic from podcasts. 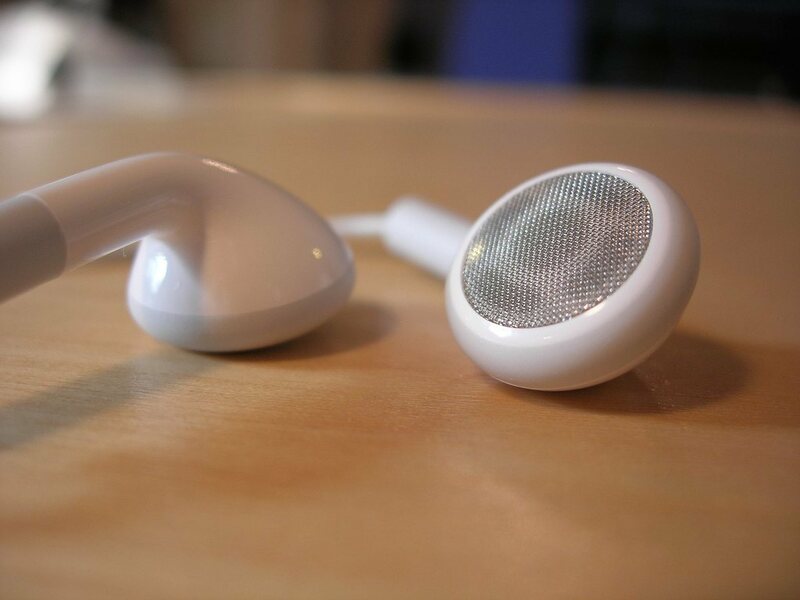 Here are a few stand-out health podcasts to get you started. Sound Medicine News is produced in association with Indiana University and the Indiana University School of Medicine. Sound Medicine News is a great, up-to-date source for all things health-related. With this podcast, you can listen to quick (sometimes less than two minute) bursts of information relating new research or findings. It’s a great choice if you only want an overview of topics, if you’ve got limited time to listen, or if you lose interest listening to the same story for long. In addition, the podcasts on the website are arranged into categories and navigated through the tabs across the top of the page. This makes it easy to find podcasts that interest you. If you find a story at Sound Medicine News that intrigues you, check the webpage for that story after you listen to it. Often a transcript of the podcast is included, along with links to research studies, medical publications, and more. A great example of Sound Medicine News is its podcast “A Drug Might Heal Spinal Injuries By Sparking Nerve Growth.” This podcast, although it’s only just over four minutes, is chock full of information. The transcript for it also provides links to a study and to faculty pages for some of the scientists mentioned in the podcast. Another great place to find health-related podcasts is MedicineNet.com. This website is connected to WebMD, and is an immense source of medical information. While the podcast library is rather small in comparison, it does present a nice range of topics. New podcasts are included in the MedicineNet.com newsletter, too. The podcasts here are fairly short, too, but they are generally comprised of a few questions that are answered by an expert on the topic. A benefit of MedicineNet.com’s podcasts is the wealth of information available elsewhere on the website. Each podcast’s webpage includes links to slideshows and articles on similar topics, so it’s easy to find more information if you’re curious. For example, the podcast “Exercises for Graceful Aging” is presented alongside links to a slideshow on the same topic and articles on fitness and senior health. Underground Wellness has a variety podcast topics, all presented in a very approachable way. The Underground Wellness site was founded by Sean Croxton, who also hosts the podcasts. Most have an expert guest. The podcasts are generally a casual conversation between Sean and the guest. These podcasts stand out from other health podcasts thanks to the easy, entertaining mood throughout. New podcasts are released regularly. You can explore archived podcasts chronologically, or you can navigate by scrolling down and using the “Categories” along the side of the site. Also, in addition to a short description, most podcasts are accompanied by notes on the topics covered and their timestamps. For example, if you’re interested in “Natural Remedies for Cold and Flu Season” but don’t want to listen to the entire podcast, you can look at the notes for exactly what you want to hear. If you want to hear instructions on making a home-made Vapo Rub, you’ll know to skip ahead to 23 minutes. QuickandDirtyTips.com has podcasts on lots of topics, including a ton related to heath and wellness. The podcasts here are very easy to listen to. While podcasts that are heavy on science or research might be difficult to understand at times, QuickandDirtyTips.com’s podcasts strike a perfect balance between information and approachability. Podcasts are presented by several different people, each with different specialties and strengths. For example, fitness-centered podcasts are presented by fitness-minded people, while nutrition-focused podcasts are hosted by nutrition experts. Also, each podcast is accompanied by a transcript. Links throughout the transcript lead to other podcasts on related topics. Additionally, as with most websites, there are ads in the podcasts from the sponsors – generally a quick endorsement from the host near the beginning and end of each episode. The ads are very short, and if you pay attention, you might benefit. Often the ads include special discounts or freebies at the sponsors’ sites. The Wellness Guys is a podcast run by three Australian men about how to improve your own health and wellness. These guys are friends, and they have a good time when they can. They poke fun at each other while still getting a lot of health and wellness advice across. It’s fun and interesting, especially when guests join the discussions. Topics include everything from family meals to colon health to how women can manage unruly hormones. Obviously, since this podcast is from a bunch of Australians, there are a lot of accents. Unfortunately there aren’t transcripts available, so if you have a hard time making out Australian accents, this podcast might be a bit difficult at first. Listening to an episode or two should be enough to get you used to the accent and understanding it with no trouble. When it comes to podcasts, the options are limitless. If none of these podcasts inspire you, go looking for ones that do. Do you have a favorite health-related podcast?